Video Games / Computer Games are BAD for your life! Or is it? My friend Joshua shared a very interesting video if Facebook recently. It's made by this guy, an ex-video gamer if you would call it, imploring fellow video gamers to stop being so obsessed with video games / computer games and start focusing on real life instead. According to him, we all have "only one life" after all. And playing video games is not the way to waste it. Being a self proclaimed avid video gamer myself, of course i would check out the video. 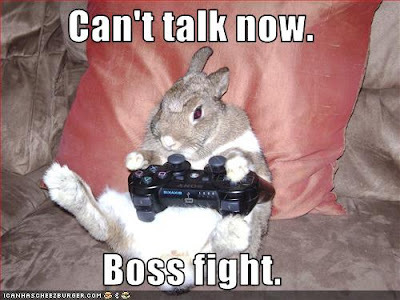 Besides, it's not that have not heard the talk about how bad video games are before. My mother made sure of that. It's just that maybe this time instead of an old guy trying to sound smart, perhaps person behind the video would make arguments that we could understand. And turns out he did. For all of you gamers out there, you might want to take a look at this video. Watching the video made me think. 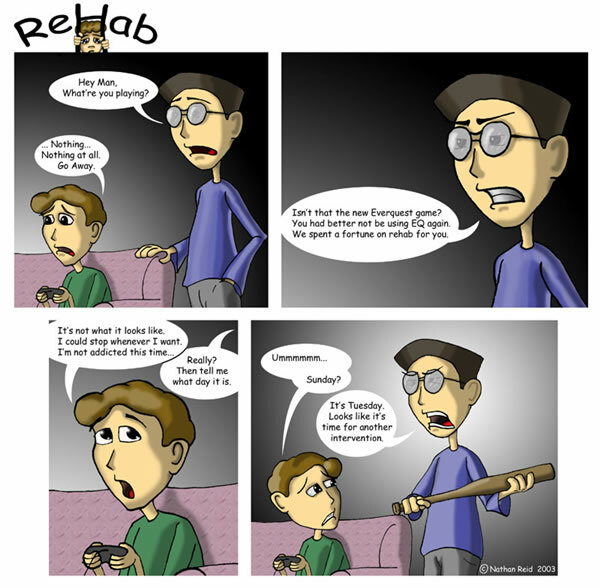 Is it true that video games are that bad? That there's nothing good about video games at all, like what my mum used to say, "Video games are created by the devil himself to eat away our minds"? Or is video games the source of the problem itself? Through my limited command in English and more limited argumentative skills, i'm no Shakespeare after all, i will attempt to argue that although what Schmoyer said about being addicted to video games might be true, it is not the entire story. Video games on itself, is not evil, it is what we do to it that matters. Before i start, like every good argument, i think it would be good to define the topic of argument first. Just what is a video game? Or more specifically, where does the activity of video gaming falls under? Generally, i think most would agree that video gaming should be grouped under hobbies like playing football, collecting stamps and reading. After all, similar to the mentioned hobbies, video gaming is something that we do when we're bored, stressed or to meet up with friends. And it's fun too by providing us a sense of escapism from this cruel world. Why is it then associated with so much problems? I think the problem does not lie with the video games itself, but by how much we allow it to intrude in our life. Like every other hobbies out there, or even work, video games only become a problem only when our functioning in life become impaired due to it. That's how psychologists define it, at least. By functioning impaired i mean we're unable to fulfill our responsibilities in life like working or schooling, unable to maintain healthy social relationships (offline ones!) and unable to focus on other things in life because there's another level we must beat. That's when video games become a serious problem as mentioned by Brian Schmoyer in the video. Using the same definition of problem, i could say that the same could be applied for other hobbies too. When you get too obsessed with something, no matter what, it will be a problem. And it's not just only video games. For example, if a stamp collector is so engrossed with this one stamp that he must collect until he spends all his family fortune and time looking for the stamp until he forsakes his work and family in his quest for the stamp, one could say that stamp collecting is dangerous too. Of course, one could argue that video games are different than other hobbies such as stamp collecting in several ways. One would be it's especially tailored and designed in a way that will make you want to continue playing. The small rewards and incentives offered in the game as you play and the escapism you can find will undoubtedly be more enjoyable. Which is why i said that Schmoyer's words contain some truth in it. But the bottom line is, when we're hooked unto something, we should not blame the things that we're hooked on for making us what we are. 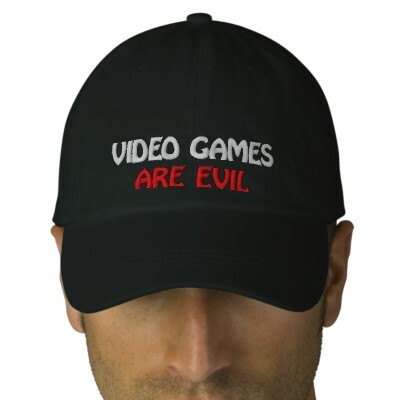 Video games on itself is not evil. It's really a matter of balance, actually. Like they say, too much of the same thing ain't good for health. There are tons of people who play video games out there and still are able to function normally, some even above average, in their lives. Human beings, after all, are all blessed with a free will to choose and decide what is best for us. And letting video games be the only part of our life definitely is not the best. But then again, one could challenge the definitions of normality and why can't playing video games be considered as the norm instead rather than going out with friends, it's the modern age, anyway, but that's another story and another point of view. I, for myself, think that computer mediated relationships can never replace the good ol' fashioned ones, there's no physical contact for crying out loud. But that's another story. So who is this Brian Schmoyer guy actually? Well, i did some digging and found out he is actually very talented in making animations, there's a few very good Maple Story animation videos in his Youtube channel; CitrusEpix. His "The Only Thing I Know" video got featured in some gaming magazine and yeah, he kinda got famous after that. And he did make a sequel to "The Only Thing I Know". Looks like the story ended happily after all. its bad if you play too much..i mean excessive.. Romantic pink is a tender pretty girl can best embody the links of london color; the stars also began to become followers of links london pink. The summer of passion and energy links of london bracelet and romanticpink, aroused a sweet and romantic agitation. See below nine groups sweetie bracelet pink star. Brian, I am a programmer working at a development and video game testing company. I agree wholeheartedly with your analysis. But you can't take it to the extreme too far - people will always want some degree of leisure time as part of a balanced lifestyle. And it's ok if games bring this to them.